This is the track or rail that the hay carriages or trolleys ride on. Here are some of the old antique hay carriage tracks, rails and assembly hardware below are some that we have come across in barns. 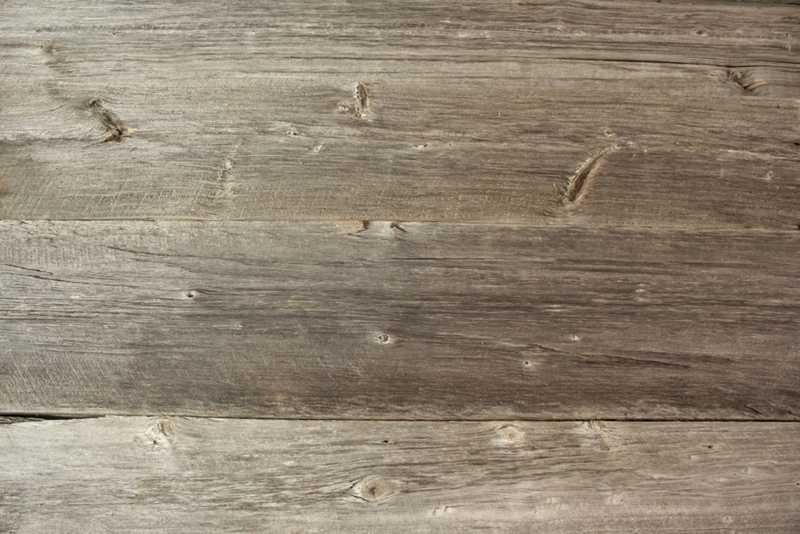 Whether looking to actually use the track which then would require some of the other parts of the mechanism or as a place to display your beautiful hay trolley this track or rail is a great accent to any decor. 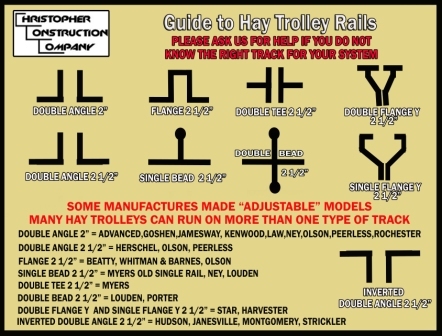 Different hay trolleys ride on different tracks or rails, so give us a call to check stock and compatibility or see the Hay Trolley Rail guide at the bottom of this page. This track is for Myers and Leader hay trolleys and carriages and possibly other brands. It is two T racks clapped together with unique specialty clamp and bolt hardware. The width is 2.1/2" wide by 1" tall. We can supply track in 6' increments that can be connected together with track connectors to give you a desired length. Don't forget a hay carriage track stop so your trolley doesn't fall off the end. We also have 12' sections for pick up only at $100 each. Hay carriage track connector. Necessary to join sections of the Myers/Leader track above together. Hay carriage track stop needed to stop the hay carriage or trolley at the end of the Myers/Leader track. We only have 2 right now. This is the trip that mounts to the track to release the Myers Right Angle Fork & Sling Elevator item #myersrafse3 posted on our Antique Hay Trolleys page to release the rope and drop the hay load. This may also trip other Myers models. Track not included. This is the trip that mounts to the track to cause the Leader / Moline hay trolley item #aa103hc posted on our Antique Hay Trolleys page to stop and drop the load. This track works for Ney, Goshen, and J.E.Porter trolleys and carriages and possibly other brands also. It is two L tracks permanently joined together and can only be used in the lengths provided straight from the factory. The width is 2" wide by 1" tall. We can supply this track in various lengths depending on our supply. They can be connected together with track connectors below to give you a desired length. Shipping and Handling is $51.89 for an 6' section or pick up is available. We only have two left in stock right now! Hay carriage track connector. Necessary to join sections of the Ney/Goshen/Porter track above together. Hay carriage track stop needed to stop the hay carriage or trolley at the end of the Ney/Goshen/Porter track.